The end of January is nearly upon us! I’m doing my monthly reading round-up a little early this month because I’m going to be away over the next couple of days! 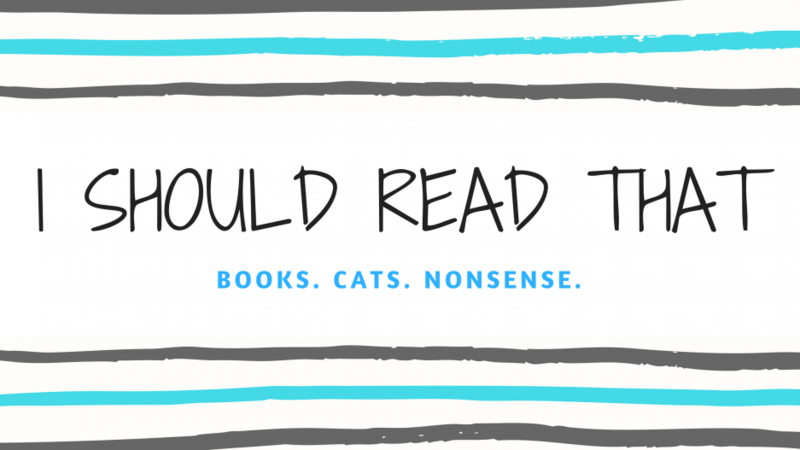 I usually write these posts at the last possible second because I want to give myself a chance to read as many books as possible. So because this is getting scheduled in, I’m going to go ahead and include the books I’m currently reading as well. Who knows, maybe I’ll finish a few more before February begins! I read seven books in January — it was a pretty good month despite the fact that I just had no desire to read early in the month. I eventually got my reading mojo back and really picked up the pace. I’m really pleased that I managed to read two nonfiction science books this month! While Astrophysics and Cosmos are very similar, they each have a very different feel to them. I love Neil DeGrasse Tyson, but he just doesn’t capture the sense of wonder and hope that Carl Sagan does. Now, I listened to Cosmos on audiobook and read Astrophysics, but I am not sure that made a huge difference. I really enjoyed them both, but I think Cosmos was the easy winner for me. I also finished The Selection series, which is silly fluffy fun, and read two proofs! I’m participating in blog tours for Paris Adrift and The Belles in February, so keep an eye out for my reviews! Finally, I finally dipped my toes into the wonderful world of Lockwood and Co., a YA series about ghost hunters. I absolutely loved it! I have the second book on deck and am just looking for a chance to read it. I’m absolutely loving both of these books! The Diviners sounds like it was written just for me — 1920’s New York occult mystery. Come on. That’s not even fair. Children of Time is my current audiobook, and it is absolutely incredible. I don’t think I can shout enough about the incredible world-building. I’m about 40% through and am planning to clear out some time to listen. You know, I was doing so well. Then there was one bookshop trip. Then I stopped into WHSmith at Marylebone Station while returning home from London. Then I went to Alwyn Hamilton’s launch event for Hero at the Fall. I wasn’t as good about buying books as I had hoped, but I did have a wee clear-out of my shelves before I went to the used bookstore. I’m trying, you guys. I acquired a lot of books this month in various ways. Elysium Fire, Children of Blood and Bone, The Waking Lands, and From Darkest Skies were all sent by the publishers. The Bi-ble is the first publication by Monstrous Regiment, a new indie publisher out of Edinburgh. I backed their Kickstarter and my reward came in! I happen to have met these two amazing ladies and was so happy to be able to support them. Finally, The Cruel Prince was in a book subscription box. This is a pretty wide range of books, but I’m so happy to have received them! This whole post feels slightly rushed, but I am going away! So I’m going to keep using that as an excuse. I cannot wait for our trip up to Edinburgh. I’ve had a think and have decided to bring The Diviners, Hero at the Fall, Children of Blood and Bone, and From Darkest Skies with me. Plus my Kindle. You know, just in case. Today is also the day that I get to reveal the news I’ve been screaming about in capslock on Twitter. I really cannot wait! That’s it for January’s reading round-up! What have you read this month? Are any of these books in your TBR? Have you read them? Definitely let me know! GO YOU! *cheerleading routine* Looking forward to hearing your thoughts on Hero at the Fall and Extinction Trials! Lockwood and Co sounds really cool. I’ll have to check that one out cos i am trash for ghost hunter stories. You read so many books in such a short time! I can only manage 3 at best. I’ve read two this month and am currently listening to Six of Crows as the third and first ever audiobook I’ve ever listened too. I LOVED Six of Crows. Have you read it before? Waaaah! It’s one of my favourite books, I hope you enjoy it! I’ve been curious about Astrophysics- it’s a book that I’ve been wanting to read for a while. I will have to look into Cosmos as well 🙂 Thanks for sharing! Enjoy Edinburgh! I just picked up Astrophysics for People in a Hurry by Neil DeGrasse Tyson, I am so excited for it.